Commit to NO fast food – cook your own healthy meal and snack and eat just that daily. No candy, brownies, cakes, cookies or sugary drinks such as soda, juice or alcohol. Drink at least 74 oz of water a day. Ready to accept the challenge? We’re not big on rules but here are a few Tips for Success whenever accepting one of our challenges. 2. 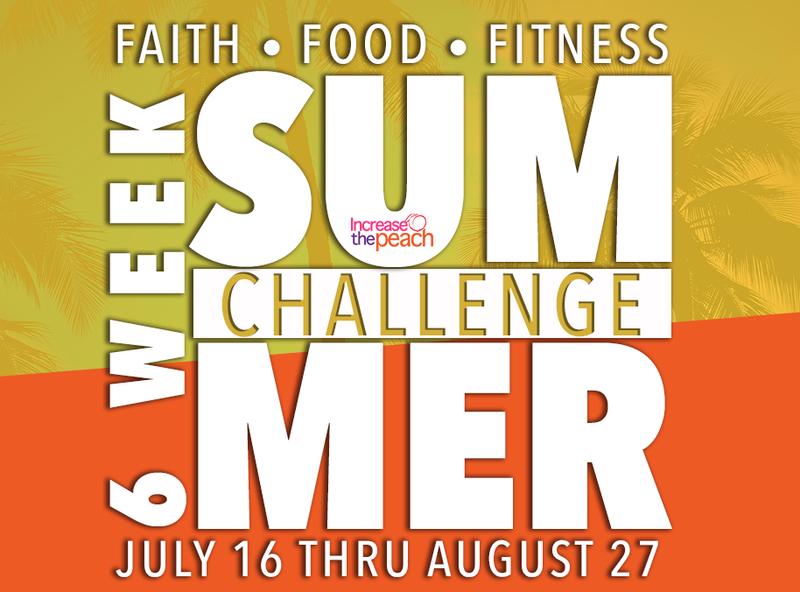 Accept the challenge by placing “l Accepted the Challenge Badge” as your profile photo an share our posts – tag #IncreasethePeach in any of your workouts, meals and transformation photos during this challenge. 3. Tag 3 friends who you think might also like to take the challenge.